The aim of the Kosovo negotiating team is to reach a final and peaceful agreement with Serbia. This was declared today by the president of Kosovo, Hashim Thaci following a meeting with the heads of the negotiating team. 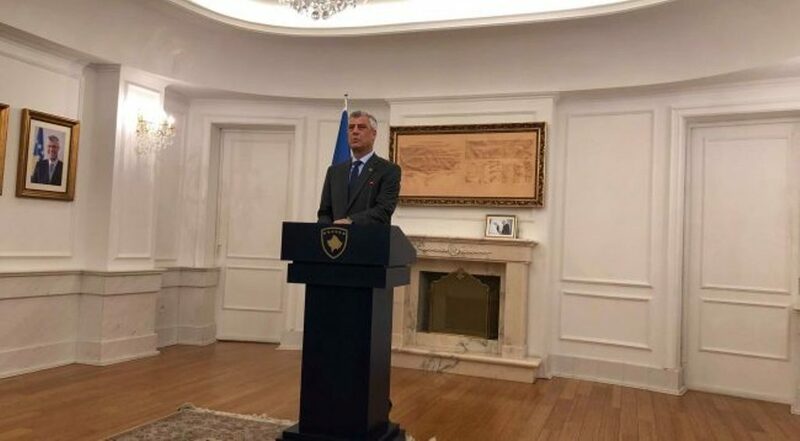 Thaci said that the document concerning dialogue with Serbia was handed to the negotiating team. “This document informs the delegation about the process of dialogue, Kosovo’s position in the meetings held with EU leaders in Brussels, while it also includes our suggestions, which are very important for the negotiating team”, Thaci said. Thaci also said that the aim of the delegation is to reach an inclusive deal in the weeks and months to come.